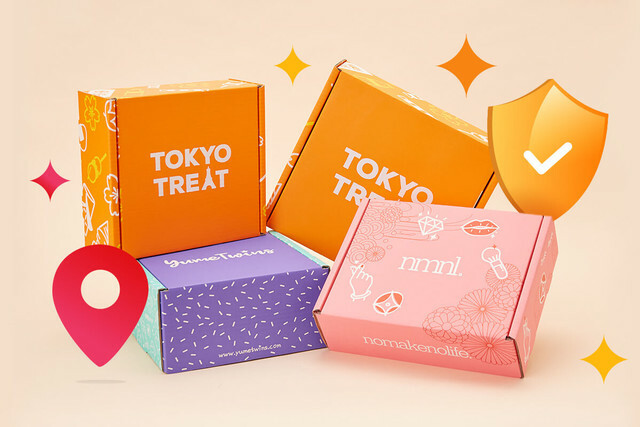 In Tokyo Treat's Japanese candy box you can find many interesting Japanese snacks in crazy and unique flavors. Ramune, matcha, red beans, octopus, curry, sakura, choco mint, lemon... there are a lot of flavors that are used in Japanese snacks that companies in other countries never would have thought of. Some of these Japanese snacks were however inspired by snacks from other countries, such as potato chips, gummies, marshmallows, chocolate (think of KitKat) and so on! Japanese people also have their own traditional snacks known as wagashi, most of these treats come from times when Japan didn't have any connections to western countries which makes these treats so unique! 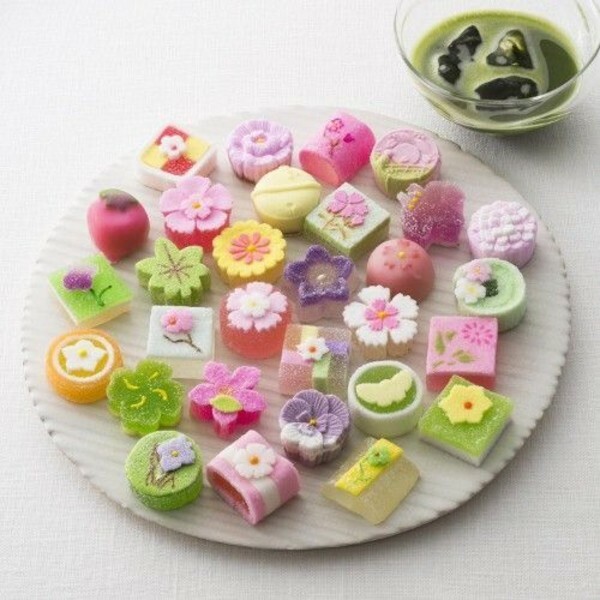 In this article you can read about 10 delicious wagashi or Japanese traditional sweets that come from different areas or prefectures in Japan! Momiji Manju is a traditional Japanese sweet treat from Hiroshima prefecture. 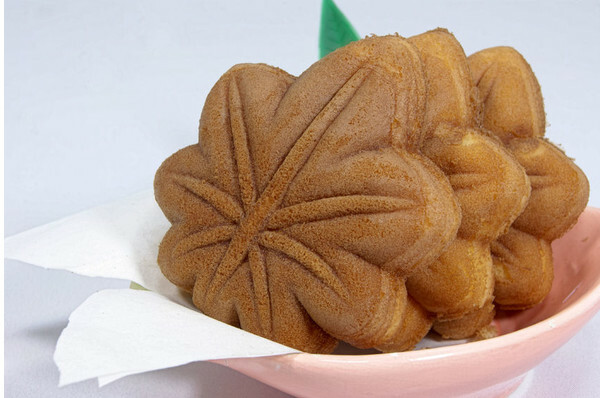 The Japanese word momiji means 'autumn leaf' and because Hiroshima is famous for maple trees these manju are shaped like leaves as well! 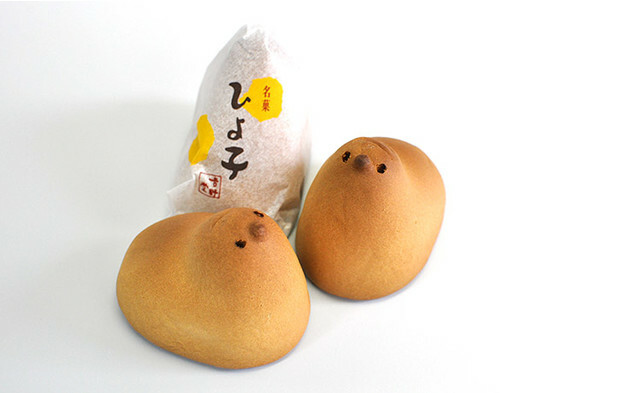 They are made of castella cake filled with sweet red bean paste which is one of the most popular fillings for wagashi. Yamanashi prefecture is even though its not too far from Tokyo surrounded by nature and famous for Mount Fuji. Besides that, the prefecture is also famous for its fruit, especially peaches! 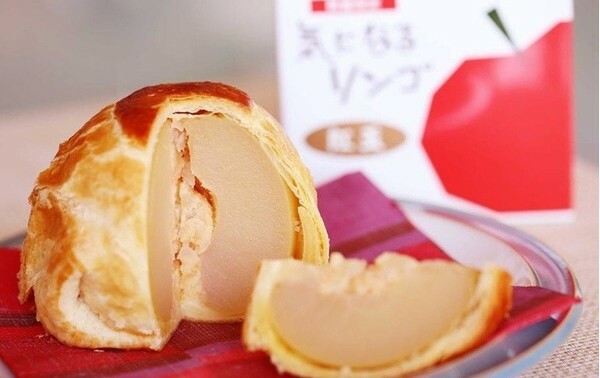 The Shingen Momo is also a type of Manju but instead of the traditional red bean paste, white bean paste and peach jelly are used as filling. There's a big chance that you have heard of Ichigo Daifuku, or strawberry daifuku. 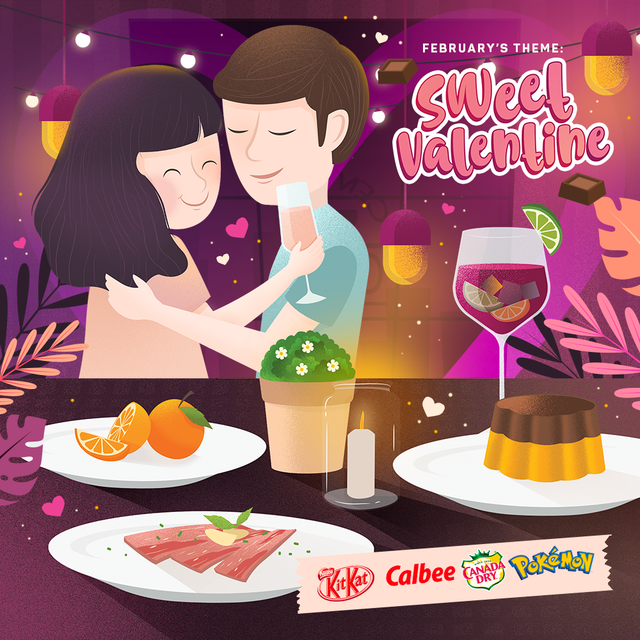 it's a very famous Japanese sweet and is originally from Osaka, a prefecture also famous for savory snacks like takoyaki and okonomiyaki. If you already love mochi than you will absolutely love this treat too! 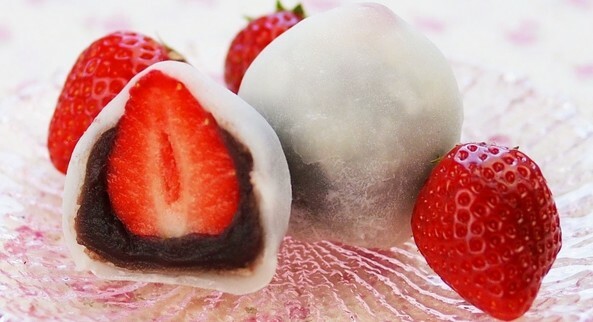 Ichigo Daifuku is made of mochi, sweet red bean paste and a strawberry! This fruity Japanese snack is perfect for spring and summer and you can find it throughout all prefectures in Japan. Japanese people who visit Tokyo never forget to bring back some Tokyo Bananas for coworkers, family or friends! It's by far the most popular snack from Tokyo. 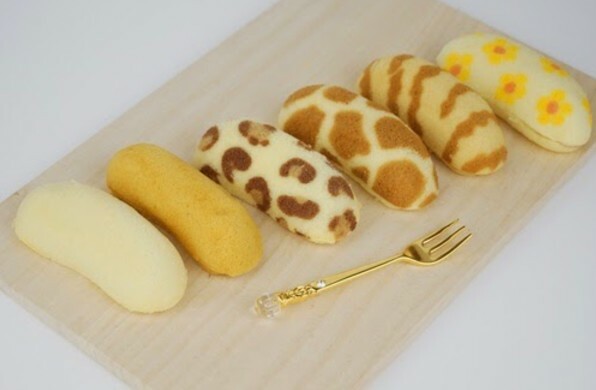 The 'bananas' are made of soft cake filled with custard cream. Shops often come out with Tokyo Bananas with interesting designs such as animal prints or flower prints! The Mizu Manju from Gifu prefecture look just like colorful water drops and probably the prettiest treats out of this list. Thanks to a starch that is made of a special Japanese root they look just like big drops of water and are a treat that is people especially enjoy in summer. 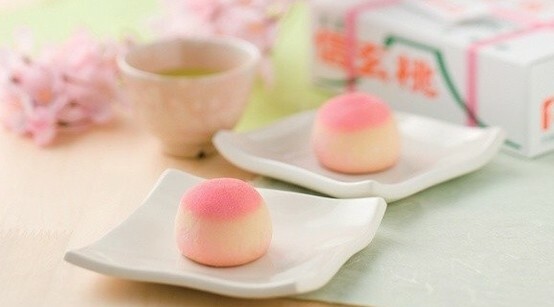 This manju doesn't come in one but in several flavors, such as red beans, matcha and other fruity flavors! Aomori prefecture in Japan is famous for its delicious apples and apple pie! These apple pie are quite different from the ones that we know though! A whole apple is used which is sweetened by syrup and surrounded by a flaky pie crust. It's supposed to be served warm! Just as Aomori prefecture is famous for its apples, People from Yamagata take pride in their cherries! About 70% of the cherries of Japan are produced in Yamagata so of course treats inspired by and using cherries can be found everywhere in the prefecture! 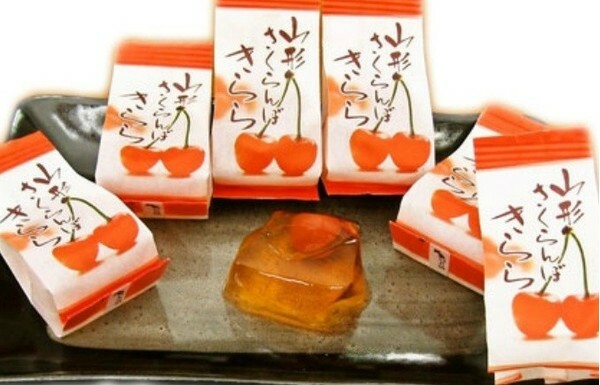 The Sakuranbo Kirara are made of jelly with inside a whole cherry! Doesn't it sound great for summer? 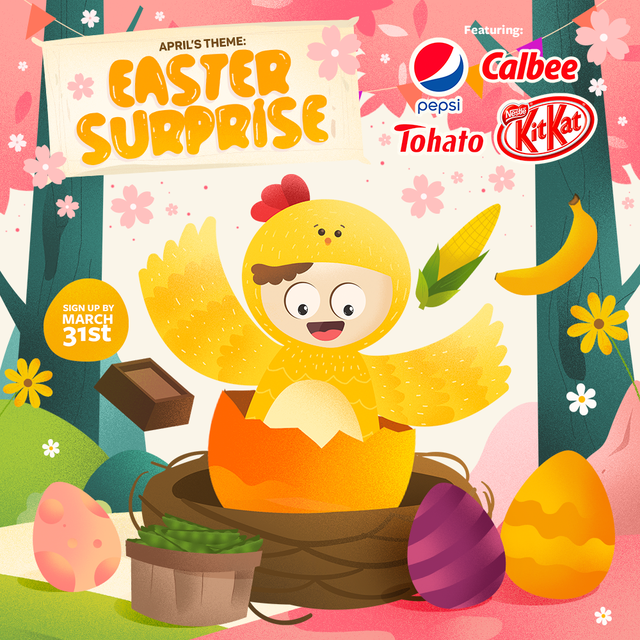 Fukuoka prefecture located in the south of Japan is famous for these adorable chick snacks! 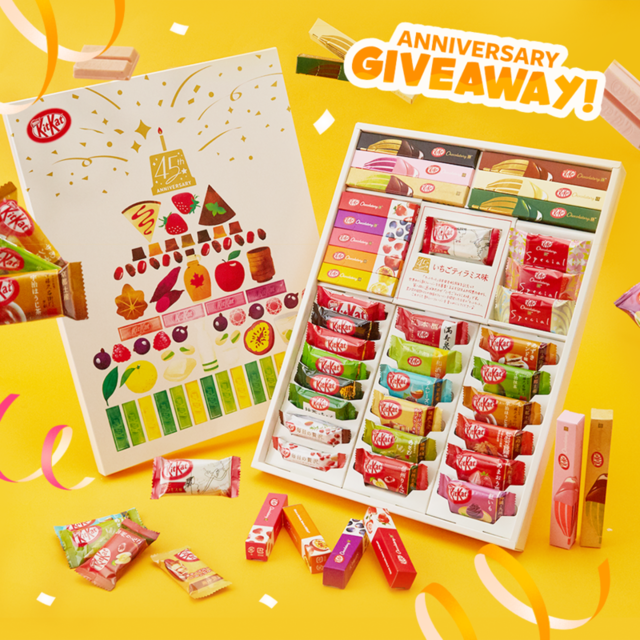 These cute treats were made for the first time in 1912 by Shigeru Ishizaka who felt a deep connection to sweets and felt that our products not only symbolize our lives but also our true hearts. Through Hiyoko he hopes to create a more friendly and lively society. The filling exists of pea beans and fresh eggs complements while the exterior is slight savory. 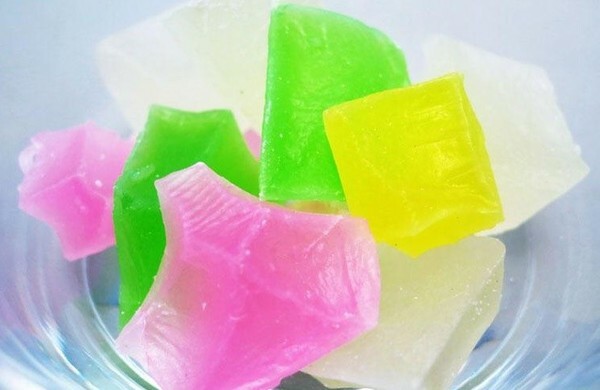 Wari Gori are sweets from Ishikawa prefecture and look similar to rock candy. 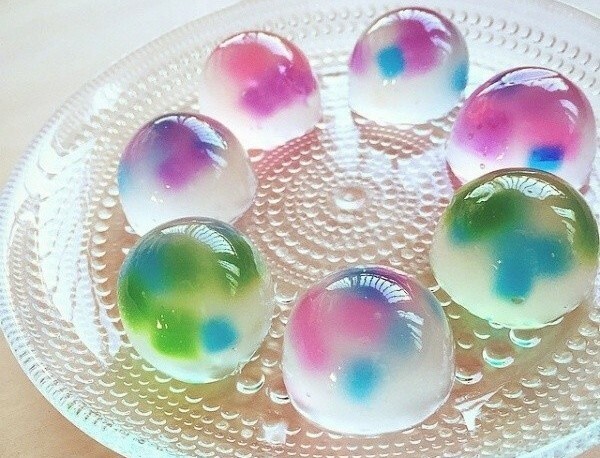 Actually they are a lot softer though and are made by drying agar ('kanten' in Japanese) for 6 days which results in the beautiful clear colors! This sweets have a refreshing and subtle flavor and taste crunchy on the outside and silky inside. These traditional sweets are hand-made and broken into pieces by craftsmen. Okinawa is an island south of Japan, people who have visited have most likely noticed the Chinsuko cookies that are being sold everywhere! These cookies are quite similar to shortbread cookies and are made of floor lard and sugar. 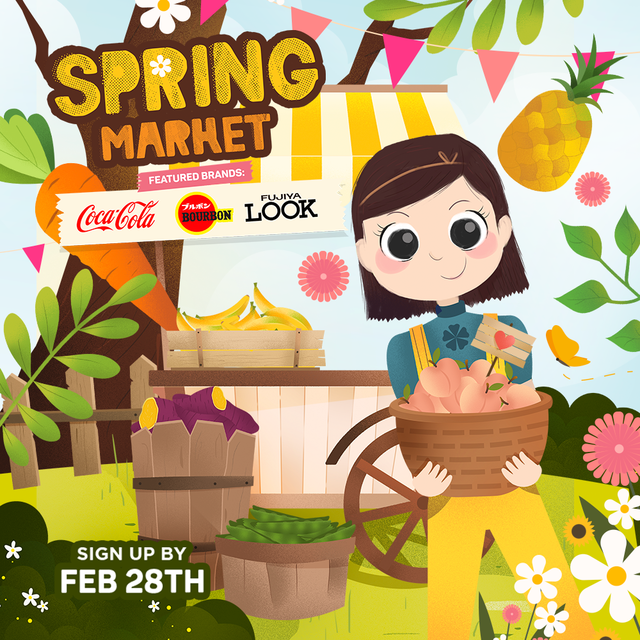 These cookies come in several flavors such as vanilla, sweet potato, coconut mango, chocolate, pineapple and so on! 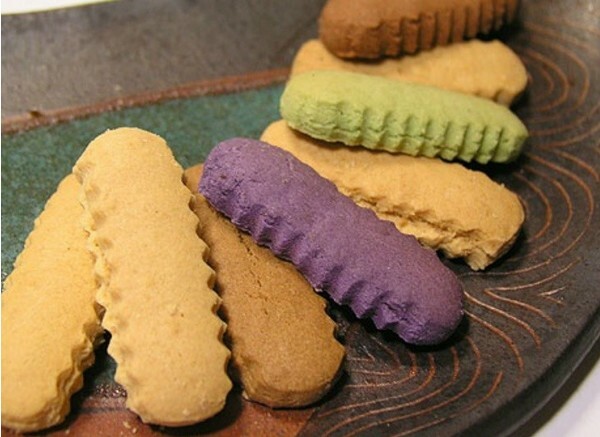 Which of these 10 traditional Japanese sweets would you like to try or have you tried? Let us know in the comments! 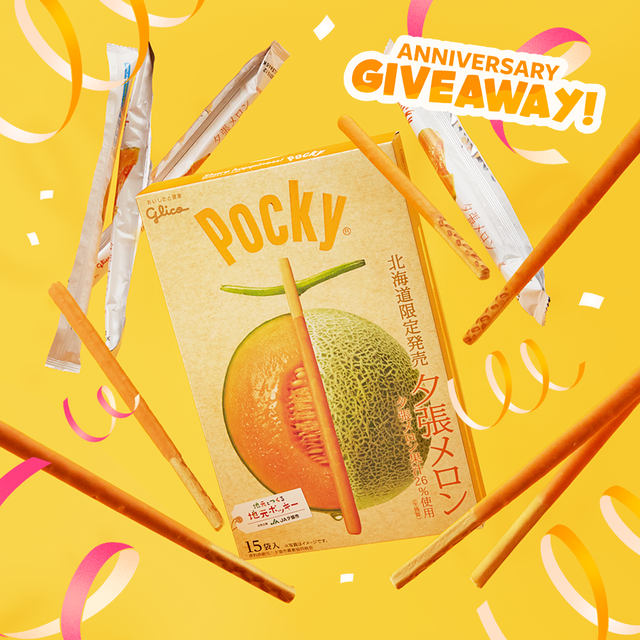 Keep up with all the fun news coming out from Japan by following us on Facebook, Twitter, and Instagram! 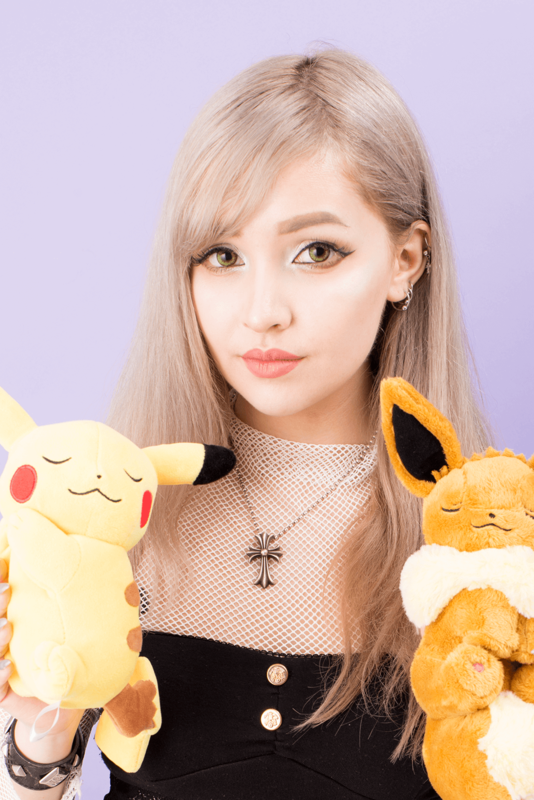 Want a free Japanese subscription box? 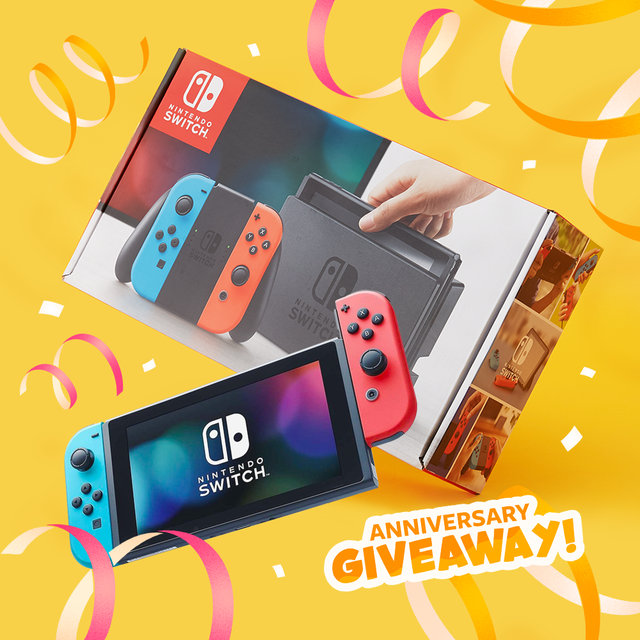 Make sure to check out how to get one here!